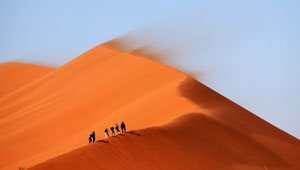 Small group tours are perfect for those who prefer to see the top highlights of Southern Africa with a small group of people. 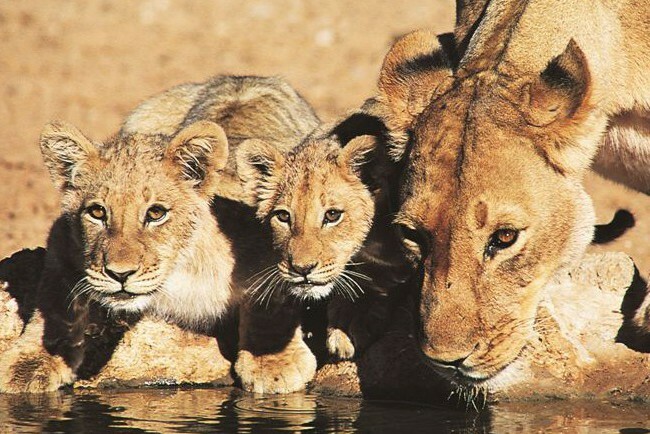 Starting and finishing in Johannesburg, you first set off to the Kruger National Park for an abundance of game viewing. 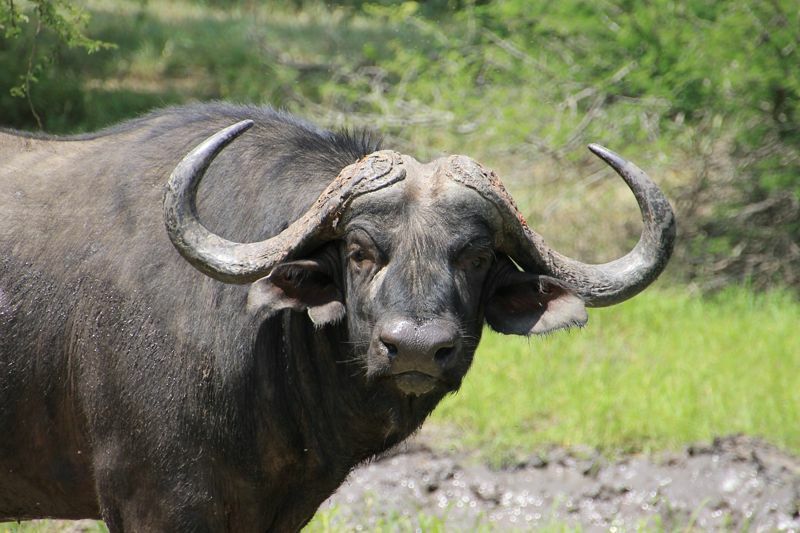 From Kruger you will make your way into Zimbabwe and towards Bulawayo and Matobe National Park. 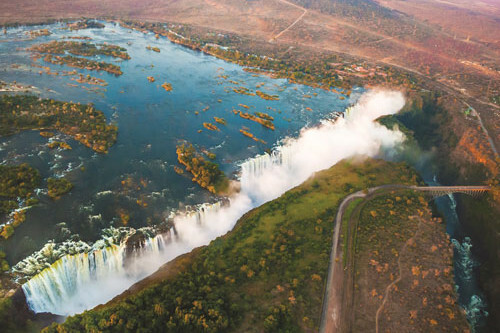 Next stop is the mighty Victoria Falls where a host of activities are on offer. 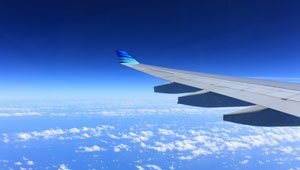 Heading into Botswana now to explore the waterways of Chobe and the Okavango Delta and all the wildlife and beautiful vistas that they have to offer before finally heading back to Johannesburg. 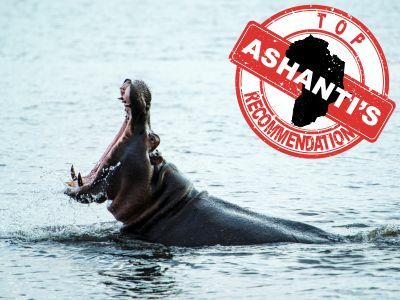 So if you want to see as much of Southern Africa as possible with the best highlights in a short amount of time, then this is the African budget safari tour you’re looking for. Departing from South Africa’s largest city, Johannesburg, we drive across the scenic Mpumalanga province and enjoy the spectacular mountain vistas. We stop at the Blyde River Canyon to view the odd looking Three Rondavels rock formations and enjoy the crisp air, fantastic surroundings and picturesque views. The Blyde River Canyon is revered as an unusual one owing to the fact that it is a ‘wet’ canyon, making it different from the wind-carved dry canyons found in desert regions worldwide. After lunch we make our way closer to South Africa’s famed Kruger Park. 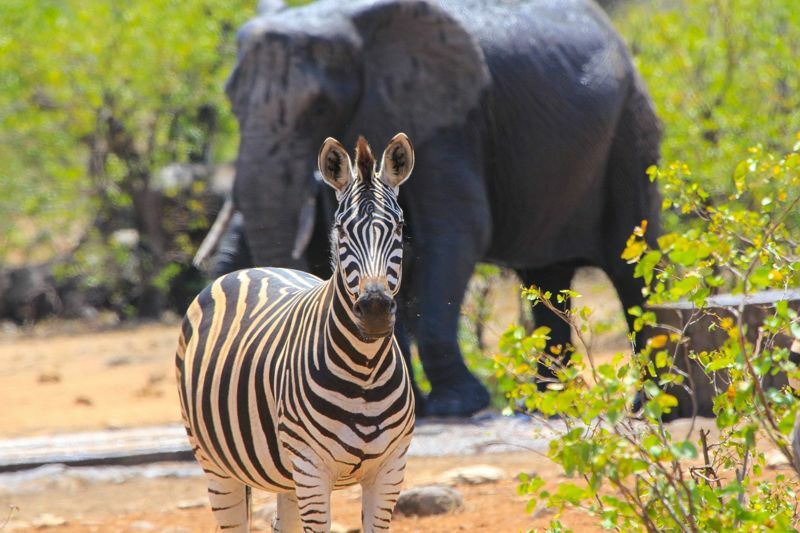 Our accommodation is located a short 10km drive from the entrance gate to the Kruger National Park with accommodation set facing beautiful gardens. After dinner we relax at our hotel for the night to prepare for the follow day of game driving. Waking at sunrise, we head out on 4×4 game viewing vehicles and eagerly wait for the Park Rangers to open the gates of the park, and let us enter the wilds of Kruger for an intense yet rewarding day. With your eagle eyed resident guide at the wheel, there will be lots to see and a great opportunity to learn all about this varied wildlife haven. 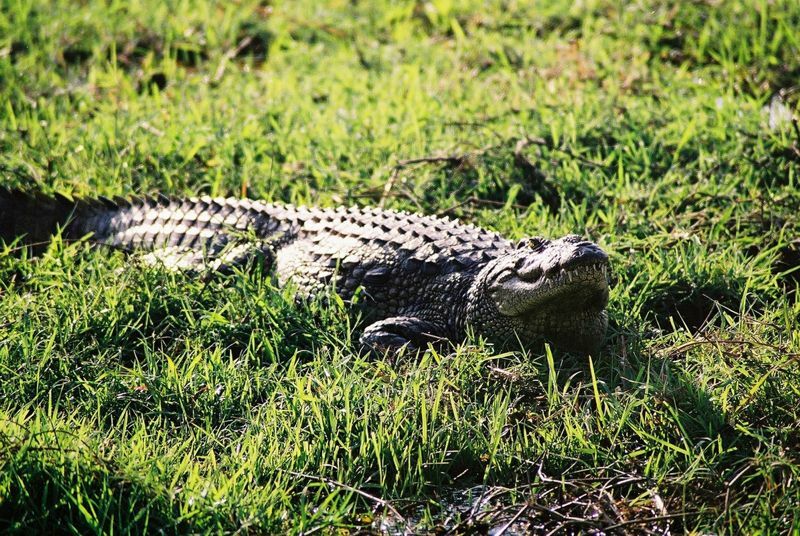 Kruger is home to over 505 species of birds, 148 species of mammals and many reptiles which we enthusiastically search for during the morning and afternoon. The impressive atmosphere of the park enables you to understand why it is held in such high esteem amongst explorers from all over the world who visit this park. We avoid the hot midday sun and enjoy the peacefulness the rest camp has to offer. After our well-deserved break from the heat of the sun we slowly game drive out of the park to our accommodation for the night. This morning we make our way across the north of South Africa to the border where we cross into Zimbabwe. After border formalities at the bustling and busy Beitbridge (South Africa’s busiest land border), we continue on to Bulawayo, a pleasant city with broad tree lined avenues and wide open spaces. Our hotel is located in the city so (time permitting) you are able to explore the second largest city in Zimbabwe. The area is revered as a historical, geological and natural heritage site and is very close to a few national parks, one of which we will visit tomorrow. We rise early to meet our resident guides and begin our open vehicle game drive into Matobo National Park which is located a short distance outside Bulawayo. The wind sculptured Matobo Hills are the site of numerous Bushman paintings and the area holds a special cultural and spiritual importance to the indigenous people here. The reserve has the largest concentration of Black and White Rhino in Africa and, provided conditions are right, our guides will lead us on foot to some of the more concealed places in search of these magnificent animals. The park also has the densest population of leopard and black eagle in the world and we keep our eyes peeled high and low for these creatures. The hills are also home to the grave site of Cecil John Rhodes who chose this as his burial place owing to the intense natural beauty and startling views from the hills. His grave can be visited at World’s View – a place of continual debate owing to his involvement in claiming the land and its people for ‘Queen & Country’ in colonial times. Departing bustling Bulawayo, we continue north to make our way to Victoria Falls. 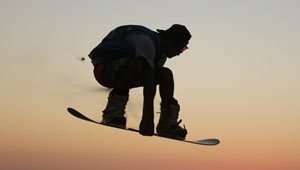 Arriving at our accommodation in Victoria Falls town, we settle in over lunch where after a briefing you get the opportunity to choose and book some exciting excursions or adventure activities for the following free day. 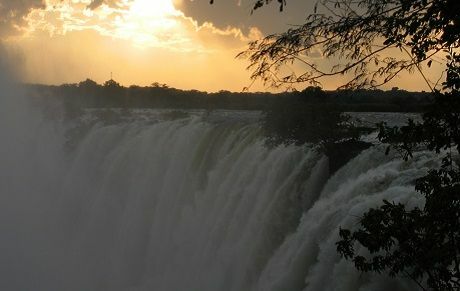 In the afternoon we visit the Victoria Falls to witness the intense exhilaration of energy generated from this spectacular natural wonder (Alternatively, we will do this the following morning depending on the time available.) With tons of water gushing over the rock face and the cool spray of water over us, we explore the many nature paths winding through the dense forest surrounding the face of Victoria Falls. We end our day joining a peaceful sunset cruise on the Zambezi River soaking up the African ambience with herds of elephant and wild buck wandering the muddy banks after which we return to our accommodation for an enjoyable evening with free time to explore the nightlife if desired. 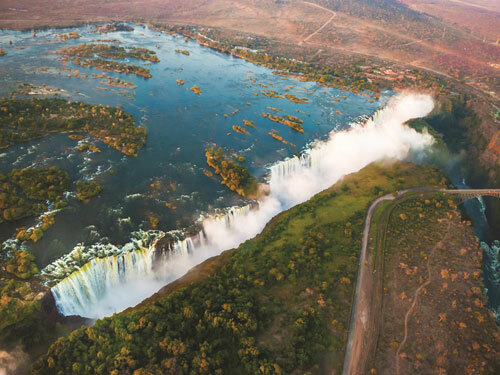 Optional Activity: Bungy Jumping, Full Day Abseil, Gorge Swing, Zambezi Jet Boat and Cable Car, Full Day Canoe, Full Day White Water Rafting, Helicopter Flights, Half Day Fishing, Bridge Tour, Bike Tour. Today is a free day to explore and enjoy what this magnificent destination has on offer. The Zambezi boasts one of the world’s highest rated rivers for white river rafting through its many challenging and novice rapids. Alternative options include exploring the colonial town on foot and visit the local trading markets. From Victoria Falls we travel the short distance to the border and cross from Zimbabwe into Botswana. We arrive in the small town of Kasane, and check in to our river side lodge. After a lunch break you have free time to relax around the pool or take the opportunity to enjoy an optional open 4×4 game drive in search of lion, leopard, hyena, elephant, giraffe and a host of antelope and bird species. 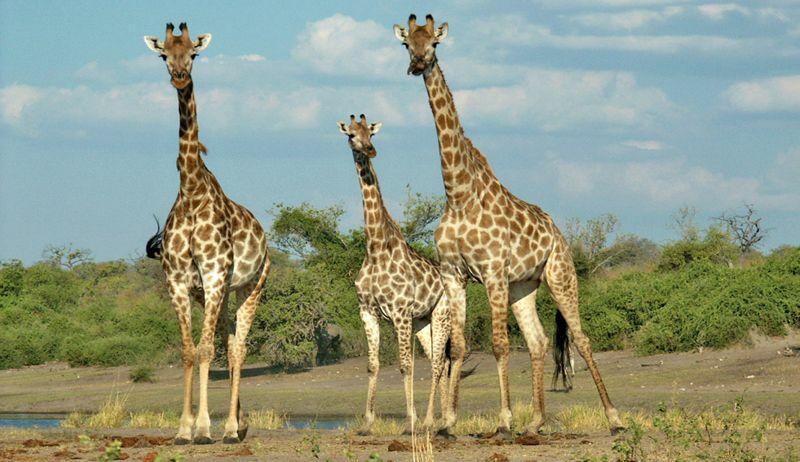 The Chobe National park is an essential destination while on safari in Botswana. 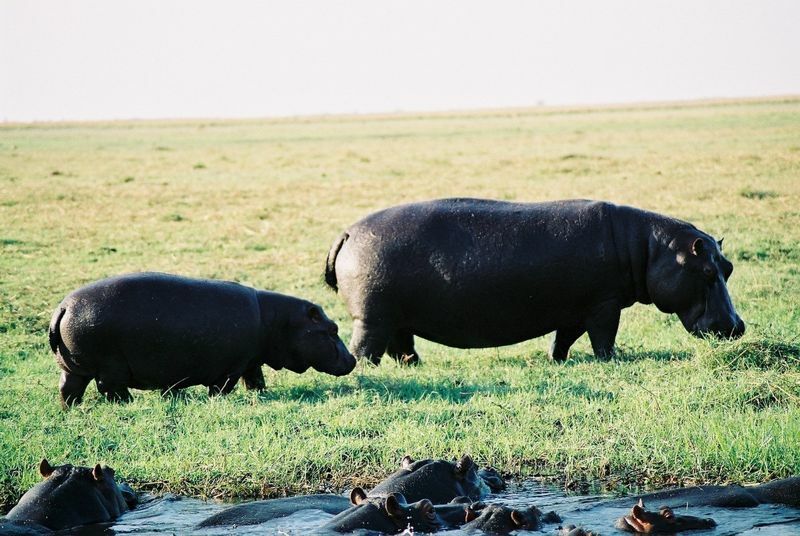 The Chobe floodplains and Chobe River provide a sensitive eco system where much of the wildlife in this region heads to during the dry season. 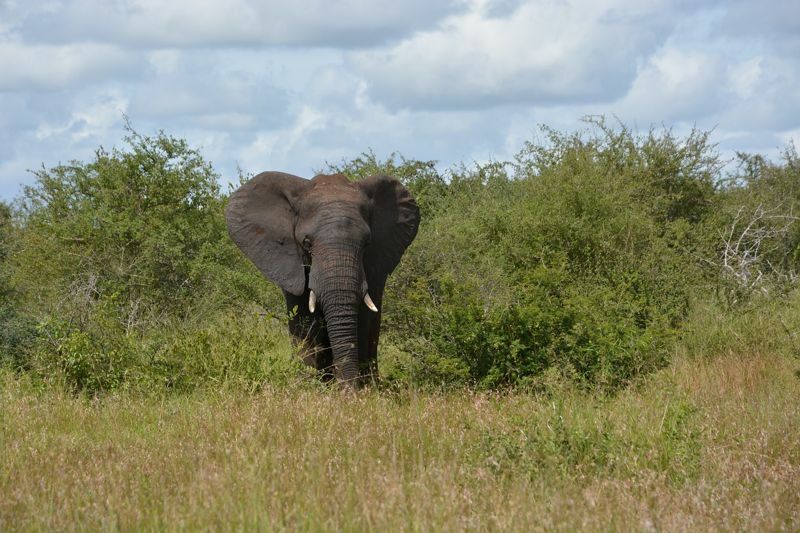 It is not uncommon to see between 500 and 2000 Elephants on these floodplains at one time. 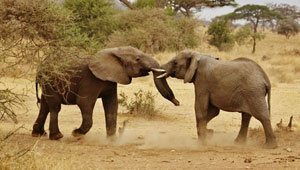 The highlight of a visit to Chobe National Park is the combination of wildlife, Birdlife and reptiles along the banks of the Chobe River. This is a photographers dream. Later in the afternoon we join the river boat cruise giving us a unique and in-depth perspective of life on the banks of the Chobe River. Tonight, we relax under the vast African skies. Following breakfast, we begin our drive towards Gweta, the gateway to the massive Makgadikgadi and Nxai Pans. Driving south we might be lucky to encounter some elephant or buffalo alongside the road as there are no fences in this area. This lets the migratory herds roam freely in search of richer pastures and water. We stop in Nata for lunch or snack before arriving in Gweta where you have the option to relax at the lodge or explore the vast Salt Pans by joining an optional 4×4 safari or Baobab Forest tour. The night is spent at our lovely lodge where we enjoy a hearty meal surrounded by the Baobab giants this area is so well known for. We start early this morning and after breakfast, we join a guided walk through a Local Tswana village to learn about and experience everyday life, from schools & local doctors to trading and traditions. 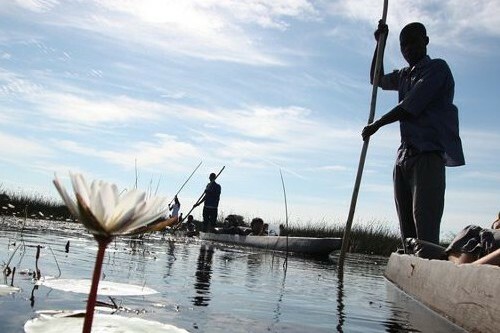 After our tour, we leave Gweta and drive further west to Maun – the gateway town to the Okavango Delta. 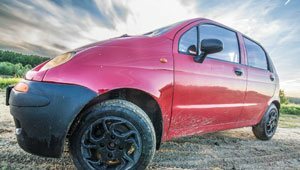 In Maun we first stock up on supplies for our adventure excursion into one of the wildest and remotest territories on the continent before heading to our accommodation based at a tranquil bush camp out of town. Shaded with many trees, the rest of the afternoon is at leisure to relax at the pool, pack for the Delta excursion or relax at the bar with a cool beverage. Heading out early after breakfast, we begin our excursion into the Okavango Delta by an open 4×4 truck where we travel the sandy paths to the mokoro station. Here we are introduced to the local Tswana Polers that will be guiding us on this expedition and transfer our gear to the mokoros. 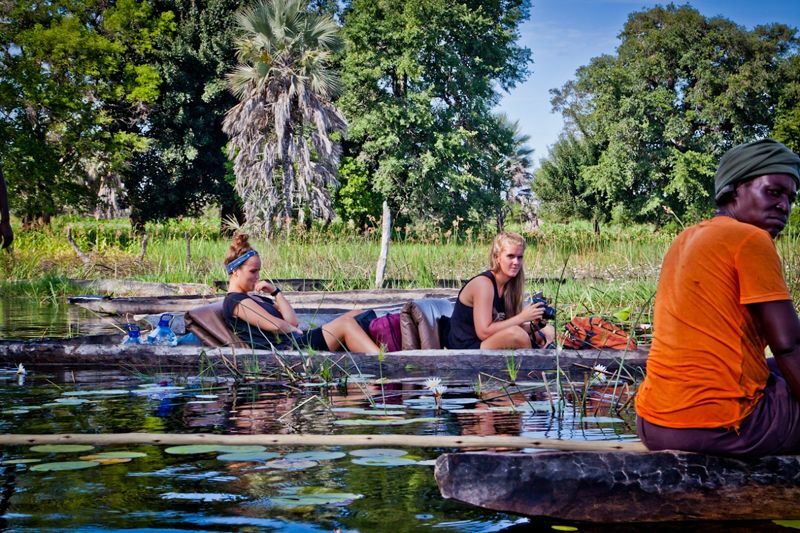 We travel by mokoro (dugout canoe) amongst the giant lily pads, tall grasses and labyrinthine of channels, in search of resident wildlife and a variety of birds, to our tented camp from which we can explore the area on a walking safari. 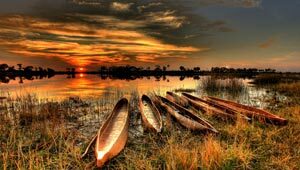 The Okavango is a natural wetland spreading over some 1,600,000ha of northern Botswana that offers a perfect habitat for the many species of wildlife that roam here freely. The Okavango River rises in Angola (farther to the north) and flows south dividing repeatedly after crossing into Botswana to form an intricate floodplain of channels and which spreads out into a broad flat inland delta – the only one of its kind in the world. We enjoy the afternoon wilderness experience and overnight listening to the sounds of the African night – an unforgettable experience! This morning we explore the surrounds on a nature walk where you have the thrilling experience of being out in the natural wilderness. This is a great way to enjoy the sights, sounds and smells of the wilderness and enjoy nature as it wakes for the day. After the bush we enjoy breakfast and then pack up our gear onto our mokoro’s, leaving nothing behind but footprints. Heading back to the mokoro station we glide over the still waterways returning to our 4×4 truck and bidding our polers a warm farewell. After lunch, the afternoon offers the opportunity to join the guide for a trip into town and explore the shopping area and little market stalls scattered around the CBD. Another popular activity is a flight over the ‘Delta’ to get a bird’s eye view of the vast wilderness you explored by boat and foot. When you see the vastness of the surroundings from the air you gain another appreciation of the beauty of the Okavango. We return to camp, enjoy a swim, and prepare a wholesome dinner ending the night under the stars with the distinct scent of wild sage in the air. 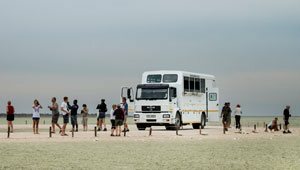 Another early rise and shine call followed by breakfast sees us travelling through the greater Kalahari region via Mopipi, where we can see the vast salt pans in the distance. Mopipi has a very small population and is known as the least visited place in Botswana owing to its remote location. We arrive at the Khama Rhino Sanctuary in the afternoon. 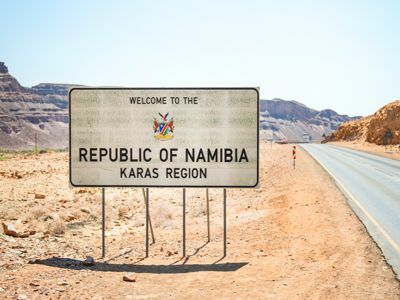 In 1989 a group of locals wished to convert the Serowe Pan, previously a hunting area, into a conservation region for the rhino that inhabit the area. The ‘Pan’ was chosen because of its ‘rhino-friendly’ habitat and its proximity to a Botswana Defence Force base which can provide 24 hour protection to these highly endangered mammals. 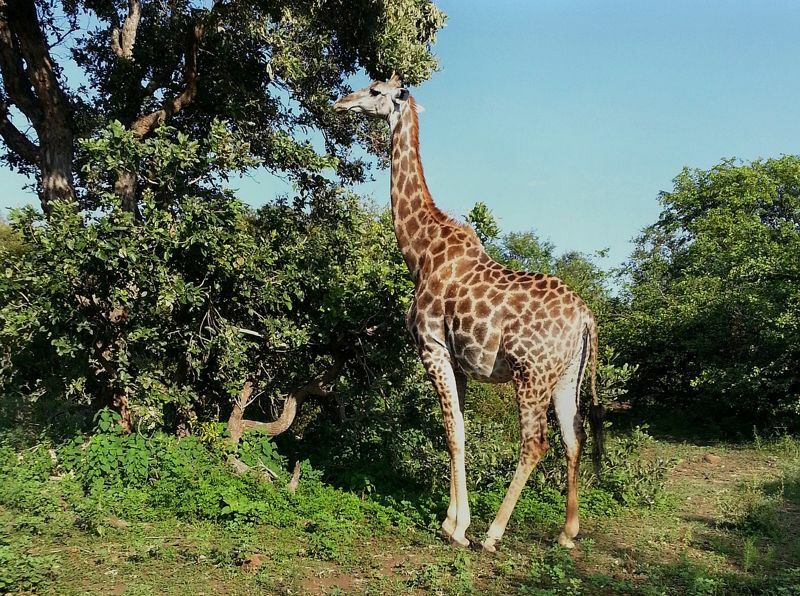 Located on the edge of the vast Kalahari Desert, Khama is a prime habitat for white rhino, zebra, wildebeest and giraffe and with its community based wildlife project, benefits the local community and teaches and educates the importance of conserving wildlife. This afternoon we enjoy an open game drive with local rangers, taking in an abundance of interesting facts from rhino to fauna and flora. Our last night on safari, is spent at a nearby hotel, swapping stories and laughter with our last meal as a group. Our last morning sees us heading out of Serowe before joining the main route south to Martin’s Drift border post. Crossing the mighty Limpopo River into South Africa, we enjoy the scenic views noticing the changes of vegetation, infrastructure and populated civilization. We arrive into Gauteng province, arriving in Johannesburg in the late afternoon where our magical Southern African tour ends. 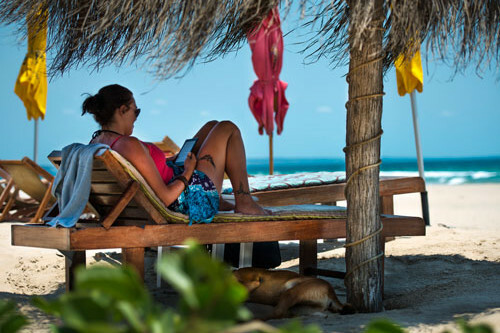 Meals & highlights as per itinerary, accommodation, guides and transport.